This LED FEIT dimmable bulb features a PAR38 shape, and a medium base. 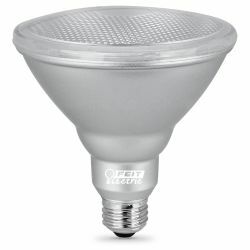 A 90 watt replacement using just 14 watts. With 25,000 hour rated life.